Watching a replay of Bobby Brown’s VH1 “Behind the Music” episode, the footage suddenly flashed back to a shot of him smiling and riding a moped with a group of local friends. The friends? His fellow members of New Edition circa 1982. Yes, before the marriage to former pop diva sweetheart Whitney Houston, Bobby was in a boy band. He played the bad boy of the group, a role he then took a bit too far to heart. This got me thinking about the current music landscape where we have a resident female superstar (Lady Gaga), a pop prince (Justin Bieber) and a slew of interchangeable hip-hop acts. But where are the male harmonies, the trendy matching outfits or the slick dance routines? We are in need of another boy band revolution. Back to Bobby and the bad boy role. You mean there are boy band rules? Great question and yes there are. The genre of music is top 40 pop or R&B. Marketing success requires sticking to the standard formula. This starts with giving us a cute lead singer with an “It Factor” to carry the vocals. The group then will include a resident bad boy (hello Bobby), nice boy (Howie Dorough of The Backstreet Boys) and baby (Joey McIntyre from New Kids on the Block). Depending on member count, you could also end up with a weird character one (see Chris Kirkpatrick from ‘N Sync when he wore colored ribbons in his hair). So you think this boy band longing I have is just for a return of the ‘90s? Hey no taunting. Actually no, because the evolution of boy bands can be traced back the styling of old school barbershop quartets and doo-wop groups. Succeeding on the vocal talent of the members singing a capella or against a backing band, these groups were styled to appeal to the masses of teenage girls who would be loyal fans until at least 18, and to appear smooth enough for the teenage boys to wish they could be them. Think Frankie Lymon and the Teenagers for the ‘50s, The Monkees for the ‘60s and The Osmonds and Jackson 5 for the ‘70s. Here’s a rough list of boy bands from A to Z to give you a reminder of the field over the last 20 years. Are you with me? Are you ready to bring the boys back? So fess up, who were your favorite boy bands? What made you like them? If they were performing now, would you go see them? Do you have any great stories from seeing a boy band fave in concert? This entry was posted in Thoughts on Life and tagged 'N Sync, Barbara McDowell, boy band, music, New Edition. Bookmark the permalink. Okay, true confessions time. I never liked boy bands. I thought N’Sync had some good, catchy tunes, but I missed the whole boy band era. I was too busy being a mom and chasing kids. Which is strange, because my daughter was the right age for boy bands, but she like Spice Girls. It would be interesting to see a boy band now – how many members would they have? Would they try to be different from what came before, or would they mimic others? Hmmm. Interesting thought. Oh Tameri, we’ll need to prescribe a list of titles for you to watch on YouTube to get caught up. 🙂 I’ll admit I haven’t loved them all. Each era of band groups brings one or two good ones then diluted copies. So we got The Backstreet Boys and ‘N Sync who both had talent, then spin-offs like 98 Degrees who were just meh for me. I think another wave will come back through, just as we’ll get another male darling after Bieber and some Britney and Christina clones in a little bit. Thanks for commenting. Funny Naomi! That is exactly what I screamed when I saw the Jonas Brothers and I never became a fan. Thanks for commenting! Good originality. Usually people write about needing more girl bands. Hello from the Campaign, fellow thriller writer! Thanks for stopping by and commenting Jacqui! As for live concerts, I think you are right. My curiosity was peaked with the blending of New Kids on the Block (not a fan) and Backstreet Boys (loved them). I even liked the single they released. 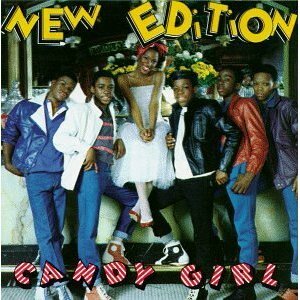 But I couldn’t get past the fact that the live show might be disappointing vocally (then I would have been miserable like you) or having to hear “Hang Tough.” I think New Edition would be entertaining dance-wise, but I’ve heard them live on some award shows recently and the vocals have gone down. I am with you – I am all for boy bands as long as they hold up to your definition!! Likely my favorite was the Backstreet Boys. Ooo…Kevin was my fave in The Backstreet Boys. Lead Brian was a cutie too. Heart this post! I miss boy bands a lot. Interestingly, some of my friends really dig K Pop (Korean Pop) and there seems to be an abundance of boy bands over there. There are still a lot of boy bands internationally, but a dearth of them over here for whatever reason. It’s a shame, because even despite the media machine surrounding Backstreet Boys and NSync, those boys could really SING.